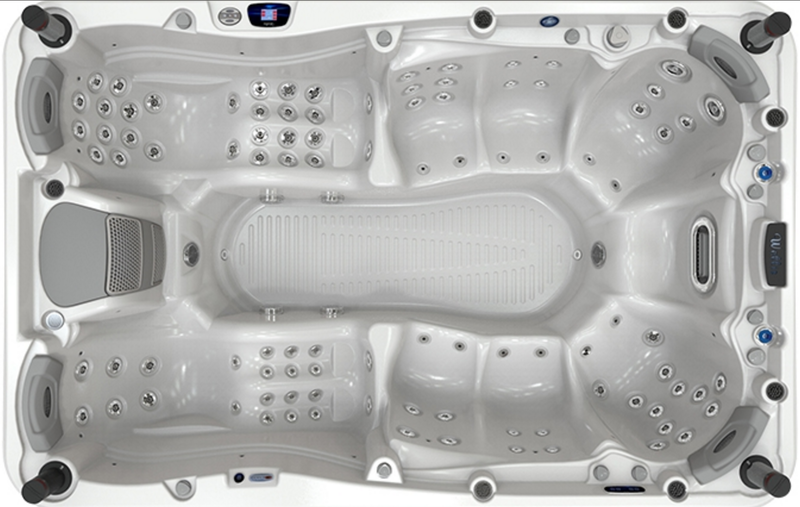 The Wellis Olympus Premium, a huge 9 seater hot tub with 7 standard seats and 2 reclining seats. The Olympus Premium offers great value for an extra large new hot tub that seats 9 people with a massive 100 jets and 110 LED lighting system plus chromatherapy lighting. If you are looking for a large hot tub that seats nine, perfect for a big home or a holiday cottage, the Olympus Premium is a great choice with topside controls for easy use.